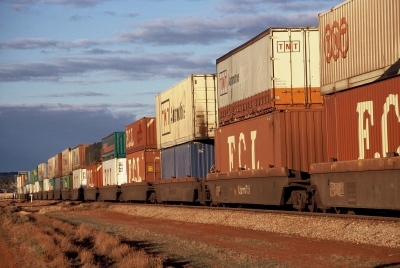 Victoria’s north-east rail corridor will be standardised to create an interstate rail freight link between Melbourne and Sydney. The $500 million joint project between the Victorian and Federal Governments, the North-East Rail Revitalisation Project, will entail removing the rail line from Wodonga and converting broad gauge to standard gauge to match the rest of the Sydney to Melbourne rail corridor. Victorian Premier John Brumby said the state and Commonwealth Governments had come to an agreement after months of negotiations on the infrastructure upgrade project that would not only provide a boost to Victoria’s rail freight network but also enhance passenger rail services. “It will generate major improvements for rail freight operations and comes on the back of our $133.8 million buy-back of the regional freight network and $43 million investment to upgrade priority major freight lines,” Mr Brumby said. He said the project will also make V/Line and interstate CountryLink services accessible to people living in regional centres such as Seymour, Wangaratta, Benalla and Albury-Wodonga. He said the Melbourne-Sydney route’s freight volumes are projected to increase by 70 per cent in the next 20 years. Beginning later this year, the Commonwealth Government-owned Australian Rail Track Corporation will deliver the three-year project under the Southern Improvement Alliance. During the track work, train services between Melbourne and Albury will cease and be replaced by buses for about a year.